CAPA News & Views 2016 , Russ Baker, Feb. 11, 2016. Information Clearing House, Man Shot Alongside RFK Says Sirhan Sirhan Should Be Granted Parole, Steve Fiorina, Feb. 11, 2016. Paul Schrade, now 91 years old, was shot in the head on June 5, 1968, at the Ambassador Hotel in Los Angeles while standing alongside Kennedy. Schrade contends that Sirhan was not the only shooter that night. In an exclusive interview that aired on 10News Tuesday night, Schrade stated that Kennedy was actually killed by a second gunman. Washington Post, Sirhan Sirhan denied parole despite a Kennedy confidant’s call for the assassin’s release, Peter Holley, Feb. 11, 2016. 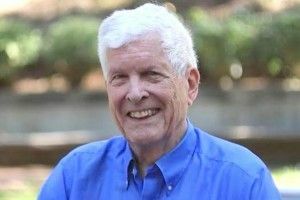 After decades of investigation, Paul Schrade (shown in a photo) has no doubt about the identity of the man who shot him in the head shortly after midnight on June 5, 1968, in the kitchen of the Ambassador Hotel: It was Sirhan Sirhan, the same gunman convicted of assassinating Robert F. Kennedy. And yet, when Schrade came face to face with Sirhan for the first time in nearly 50 years, at a parole hearing in San Diego on Wednesday, he argued that the notorious gunman wasn’t Kennedy’s killer. But the panel wasn’t swayed and Sirhan [shown in a 2016 photo] was denied parole for the 15th time, according to the Associated Press, which noted: Commissioners concluded after more than three hours of intense testimony at the Richard J. Donovan Correctional Center that Sirhan did not show adequate remorse or understand the enormity of his crime. Still, the AP reported, Schrade forgave his shooter during the hearing and apologized to Sirhan not doing more to win his release. “I should have been here long ago and that’s why I feel guilty for not being here to help you and to help me,” Schrade said. The fatal bullets, Schrade argued, were fired from a different shooter’s gun. 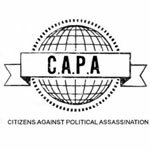 JIP Editor’s Note: Important new books and citizen efforts, including by the new Citizens Against Political Assassinations, are compiling additional evidence that Sirhan, a Christian of Palestinian descent and no strong political views, was most probably a mind-controlled patsy who took the fall for Robert Kennedy’s murder, with scant intention or remembrance of the circumstances. NBC News, Robert Kennedy Killer Sirhan Sirhan Denied Parole — Again, Corky Siemaszko, Feb. 10, 2016. The 15th time before a California parole board was not the charm Tuesday for Robert F. Kennedy’s assassin. Once again, the commissioners said no to releasing Sirhan B. Sirhan, who has spent nearly half a century behind bars for fatally shooting the Democratic senator for New York. “This crime impacted the nation, and I daresay it impacted the world,” commissioner Brian Roberts said. “It was a political assassination of a viable Democratic presidential candidate.” Kennedy, who was the younger brother of slain President John F. Kennedy, was shot June 5, 1968, at the Ambassador Hotel in Los Angeles just after he’d won the state’s Democratic presidential primary. The 42-year-old candidate died the next day. Sirhan, a Christian-born Palestinian from Jordan outraged by RFK’s support for Israel, was caught with a gun in his hand and later convicted of the killing. He was sentenced to death, but the sentence was commuted to life in prison after California banned the death penalty. At his last parole hearing in 2011, parole commissioners said Sirhan had not shown enough remorse or understanding of the severity of his crime. WhoWhatWhy, RFK Friend to Raise Doubts About Sirhan Guilt at Parole Hearing, Shane O’Sullivan, Feb. 9, 2016. Although Shot by Sirhan, Paul Schrade Calls for His Release. “It was just a beautiful moment,” said Paul Schrade, 91. In 1968, Schrade (shown in a recent photo) was a union official and friend of Robert Kennedy, or Bobby, as he called him. Schrade walked with Kennedy into the kitchen that night, after Kennedy gave his victory speech to an elated, cheering crowd. Kennedy died 26 hours later. Sirhan was convicted of murder and sentenced to life in prison. Schrade knows Sirhan fired the bullet that hit him. But he is convinced there was a second gunman who shot Kennedy. WhoWhatWhy, Exclusive: List of Withheld JFK Assassination Documents, Russ Baker, Feb. 4, 2016. Here It Is — a Map to What We Can Still Learn. 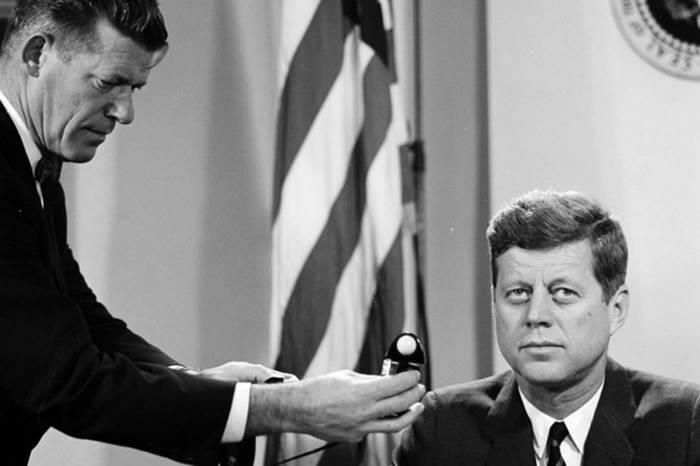 Exciting news: WhoWhatWhy has obtained the complete list of 3,603 secret documents on the Kennedy assassination still being held by the US government. (Or, to be precise, what it admits to still holding.) Now we can at least get a peek at what they have been hiding. The list was obtained in a Freedom of Information Act request by FOIA specialist Michael Ravnitzky, who alerted us. The complete list is below [On WhoWhatWhy site). You’ll note that some documents are briefly characterized by subject, while others are less clearly identified. 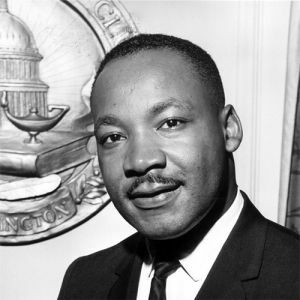 Justice Integrity Project, Legacy of Dr. Martin Luther King Enhanced By Historic Discovery, Andrew Kreig, Jan. 18, 2016. The Rev. Martin Luther King Jr.’s legacy is forever enhanced by discovery of a 24-minute recording of his first meeting with the national media, which occurred during a 1962 speech that was the first ever by an African American at the National Press Club in Washington, DC. 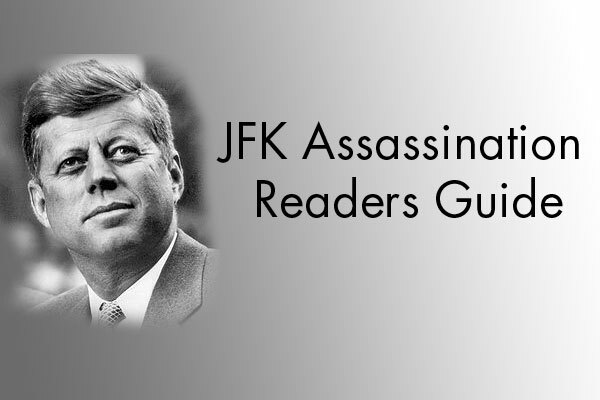 Readers Guide To JFK Assassination: Books, Videos, Archives. A so-far 30-part compilation of major books, videos, documents, websites, interpretative columns, and other archives from all major points of view relevant to President John F. Kennedy’s death on Nov. 22, 1963. Readers Guide To The MLK Assassination: Books, Videos, Archives. Key books, videos, documents, websites and other archives most relevant to the Rev. Martin Luther King, Jr.’s murder on April 4, 1968. 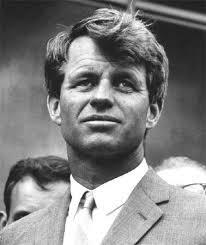 Readers Guide To RFK Assassination: Books, Videos, Archives. For researchers, reporters and concerned citizens, this guide presents key books, videos, documents, websites and other archives most relevant to 1968 Democratic Presidential candidate Robert F. Kennedy’s murder on June 6, 1968.